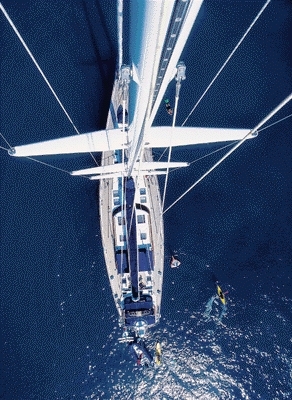 Sailing yacht LUNAR MIST is well designed by Tripp and built by Windship, and she provides charter guests with fantastic cruising luxury and a powerful sailing experience. 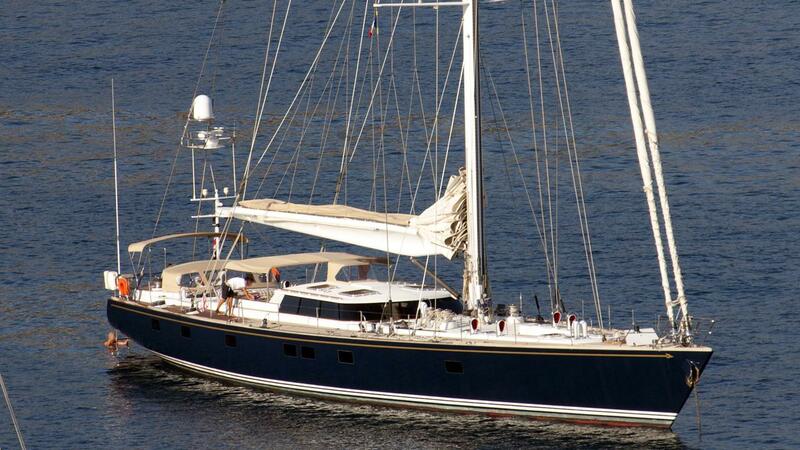 Cinderella is a lovely cruising yacht - ideal for a Greece/Turkey yacht charter - and has all the comforts expected in a large yacht and great accommodation and charter toys and equipment. 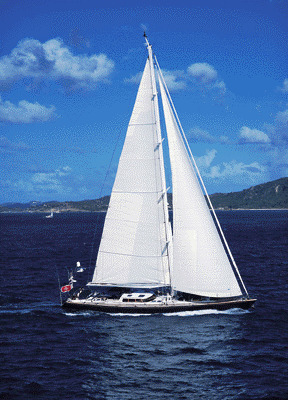 She has circumnavigated the world and has established herself as a popular favorite with repeat charter guests. LUNAR MIST (ex Cinderella II) is subject to a perpetual maintenance and improvement regime. 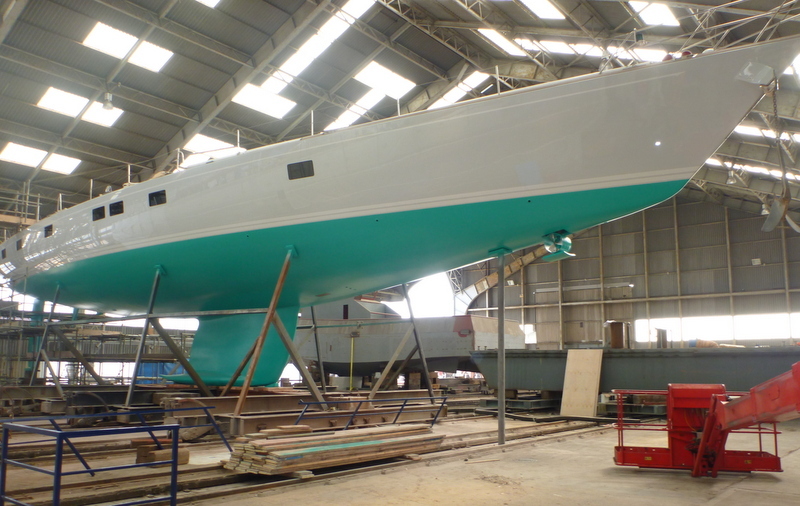 Over the last couple of years these upgrades have included a full re-paint, an interior fabric refit, as well as an overhauled rig. 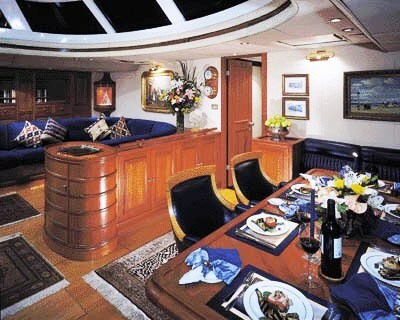 She has an excellent pilothouse with sheltered panoramic dining, an enormous entertaining guest cockpit, with shaded dining, as well as a separate sailing cockpit. 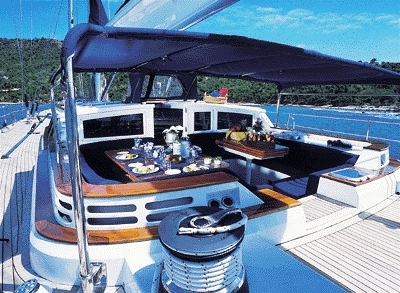 Her transom offers a swimming and boarding platform. 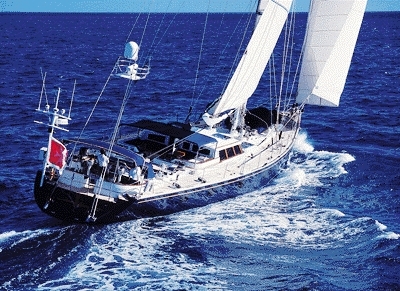 LUNAR MIST (ex Cinderella II) comfortably accommodates up to eight charter guest in 4 cabins. 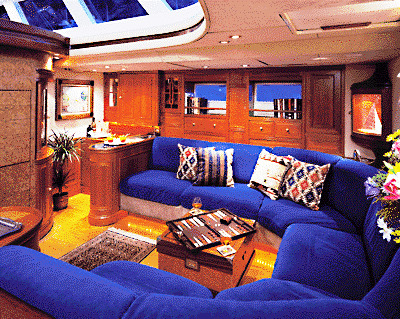 She offers a spacious master with a double bed and full private bathroom / en suite with tub. 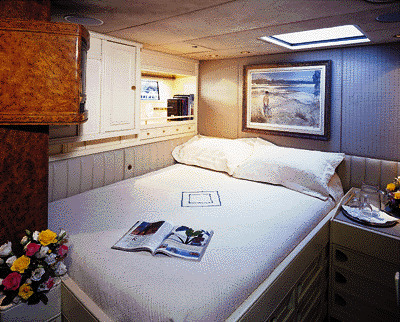 She has a further two staterooms, with double beds, and one twin-bedded stateroom. 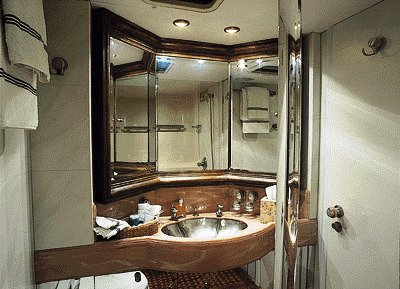 All of Cinderella’s cabins offer full ensuite and shower facilities. 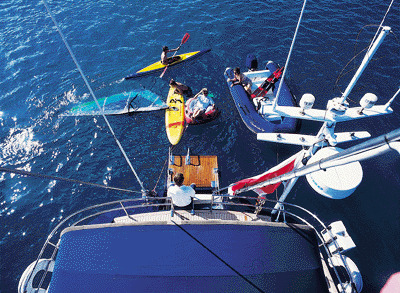 LUNAR MIST provides the following yacht charter amenities and extras: a Semi-rigid ski boat (with Honda 50 hp outboard engine), Water-skiis, a Donut, a Canoe, Two windsurfers, Snorkeling gear, fishing tackle equipment, Air-conditioning, Water makers, TVs & VCRs, Film & music libraries, and books etc, Satellite Communications such as Phone, fax and e-mail.